It's well documented that I love big hair. It's my current obsession and I know that it's going to continue for a long time. Since I learnt how to do a wet set in college, I'm constantly putting my hair in rollers. Unfortunately the traditional rollers with the bendy pins kill me from the tension they create and without my professional hood dryer (which shall arrive next week!) they're too much hassle to dry. 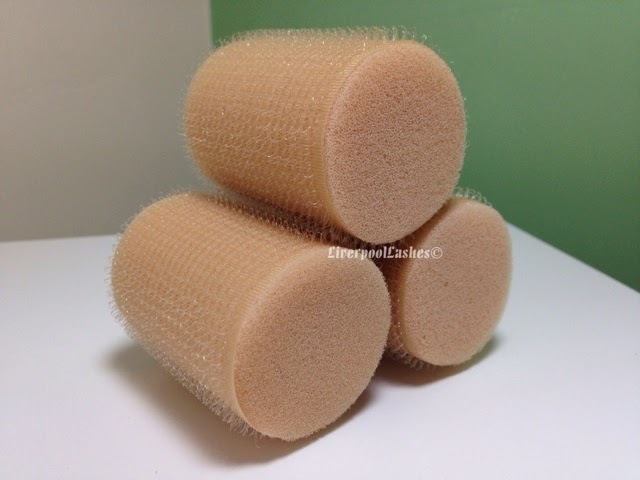 I received the Sleep In Rollers Mega Bounce Rollers as a free gift for a large order I placed with Lookfantastic.com. My rollers are different looking to the usual ones (they're typically pink although you can get some limited edition glitter ones) as they were from a Glamour Kit edition which I can't seem to find online but they're exactly product. I have twenty rollers in total which I find just about doesn't do the whole of my head. This doesn't bother me too much as I don't really need lift at the nape of my neck anyway but I probably could do with around another 3 - 5 more rollers. 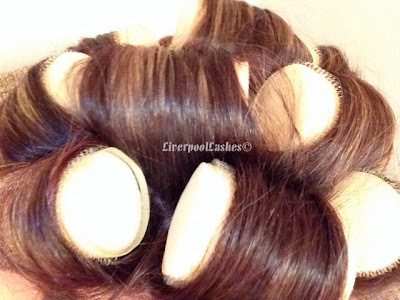 My routine that I find works the best is to blow dry my hair and whilst it's still warm, I will put my rollers in so that they can set my hair into that position. I have tried them with cooled hair and they do work but I don't think that the results would last as long. My friend has tried them in slightly damp hair and left hers in longer to dry which gave good volume but I would be worried that I would go to take them out before I went out and my hair still be slightly wet which would make it fall flat. Lot's of people say to me that they couldn't put these in themselves but honestly, they are so easy to use! If you start in the middle of your forehead and then one either side, you can then work out a brick formation so that when it is time to remove them you do not have any oddly separated areas. It takes me between five and ten minutes to do (almost) my full head. I can actually prove how easy they are to put in, I was telling my friend about them while I was applying Shellac to her toes in my home salon. While it was curing, I nipped upstairs and brought my set down. 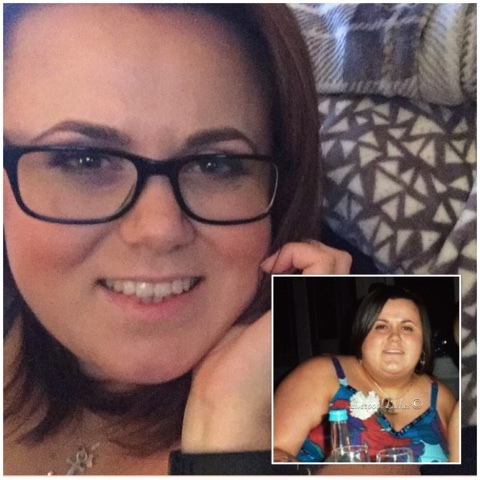 Minutes later, without a mirror or using them before she had most of them in! I love how lightweight they feel on my head, I could easily forget that I even have them in. I find that they stay in well as well without any additional clips which actually suprises me, I think the trick is not to try and wrap too much hair around each roller. They don't give me a curl but are more for the volume with a slight curve to my hair which is exactly what I'm after. 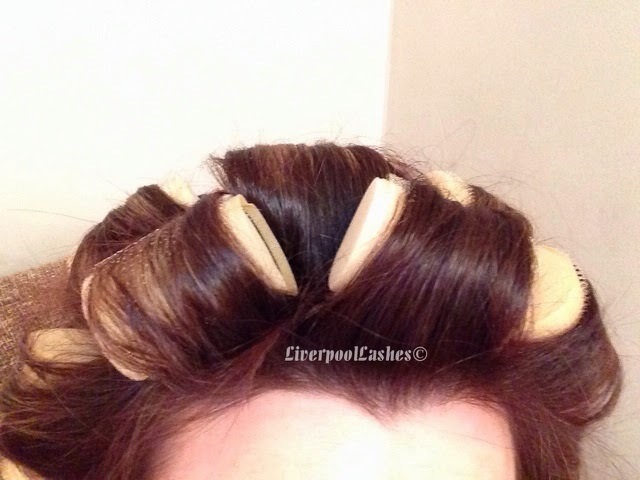 Now for the biggest question, 'What's it like to sleep in Sleep In Rollers?' Awful. If you angle your pillow right then you can probably manage a few hours. The best way that I found was to move your pillow down so that effectively it's under your neck and your head is hanging over the top. I actually don't think it's needed to sleep in them unless you need big hair first thing the next morning. I tend to wash my hair in the morning, wear them for a few hours or as long as I can and it does the job. The bottom line is... 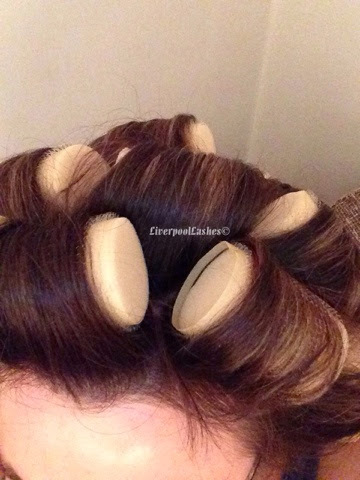 I love these rollers and I will not be without them. I love the volume and lift they give to my hair, I feel like they almost double the thickness and I love it. It does drop hours later but it not completely flat and I definitely would add some hairspray for special occasions. I love the ease of use and how lightweight they are!! Definitely a thumbs up!